From humble beginnings, Yukon Advanced Optics was founded by two private enterprises in 1994. At first, it was all about binoculars and spotting scopes, but day vision scopes were not cutting it for Yukon. That’s why in 2001, the NVRS was launched. It was the first night vision scope to hit the market from this company. 2003 saw a revolution in digital technology with the Ranger 5x42 and Ranger Pro 5x42. By 2005, Yukon was now an industry leader in Night Vision Generation 1 devices. With a 70% global market share, 2006-2008 saw this company expand to more optical devices including a line of riflescopes and night vision devices. This was the foundation of the trademark Pulsar Brand. 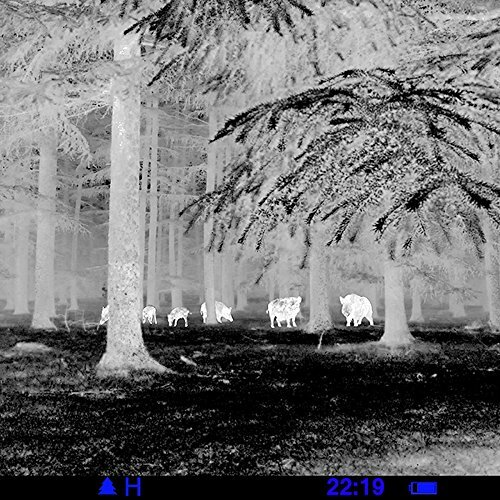 If you are an outdoor enthusiast or in the security sector, you can’t fail to recognize the Pulsar Night Vision Products. It is a brand that represents technological innovation and a dedication to night vision advancements. Pulsar launches the Quantum Thermal Series. These are thermal imaging monoculars for the hunting and outdoor market. This series was introduced to provide probably the best software interface. It is a line with great optical performance and optical adjustment. The Quantum Series Monoculars have different objective lenses, and they can have different optical parameters depending on the lenses. In 2012, Pulsar introduced a night vision attachment the DFA Forward. It is a unit that you attach to the front of a standard day scope, and it instantly becomes a night vision optic. It saves you from re-zeroing so that you can continue with your after-dark adventures. 2013 was when we saw the first, night vision scope with an built in rangefinder on the Digisight LRF. It gives you the capability to hunt at night at various distances. 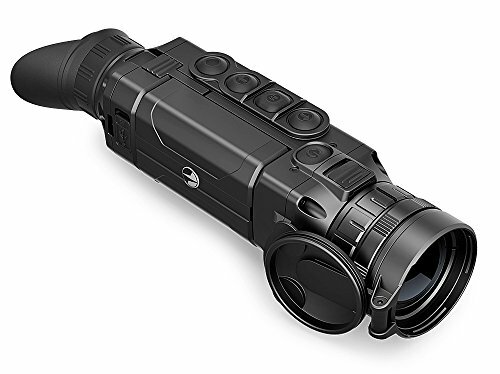 But 2014 was a more exciting year with the first night vision scope; Apex to include the thermal iris algorithm, one shot zero, and picture in picture display mode. 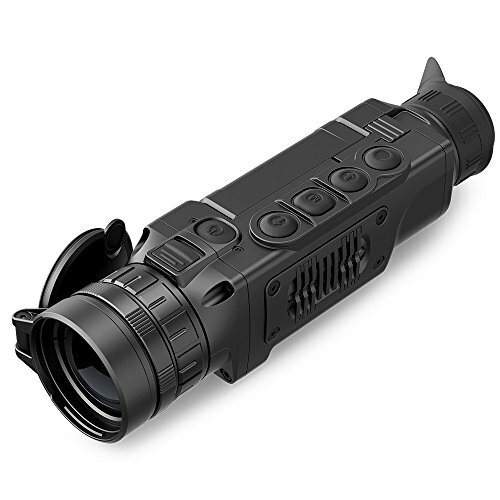 The introduction of a dual-purpose monocular and riflescope night vision unit saw the launching of the Pulsar Core. It is a unit that lets you utilize a particular attachment system so that you can use the unit as a riflescope or a standalone monocular. At the peak of innovation, Pulsar is on top of its game after the introducing the Helion Series. It is a line of thermal monoculars that feature innovative upgrades over the Quantum Series. Today’s Helion line represents the best products from the Pulsar line. These include the latest technology with real-world features. The Helion Line has two types of body cores, the XP, and the XQ. These two designs have some similar features and some very different features. With the Helion XQ thermal monocular, you have three focal lengths; 50mm, 38mm, and 19mm. The Helion XP, on the other hand, has 50mm, 38mm, and 28mm focal lengths. A 17um sensor and 640x480 pixels facilitate resolution in the XP while XQ comes with a 17um sensor and 384x288 pixels. The detection range varies with the model as we have seen XQ models featuring a detection range of 1475 yards while XP can reach a detection range of up to 2000 yards. The Helion line boasts a composite polymer body. It is IPX7 rated meaning it is dustproof, shockproof and you don’t have to worry about dropping it in water of 1 meter deep for up to 30minutes. Both designs offer 50Hz refresh rate 8GB internal storage, and Lithium-Ion B-Pack Power Units. The battery is integrated into the device giving it a more streamlined look and comfortable holding. You will get 8 hours of battery life from the Helion Thermal monocular line. A unique aspect of the Helion Line is the introduction of the Stream Vision Technology. This feature is excellent since it allows you to use Wi-Fi to stream live images onto Android and iOS devices. It is a great feature because now your friend can see the same image on your monocular on their smartphone when you are out together. You will also be able to control the settings on the monocular from your mobile phone. The Helion XP line allows interchanging of the lenses which is very helpful. This is with the help of a bayonet mount which makes the process fast and easy. 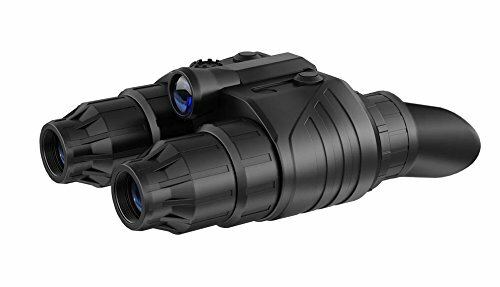 Changing of the lenses opens up possibilities of using the monocular for specific tasks and even improve performance in the process without having to purchase a brand new monocular to get a different size lens. 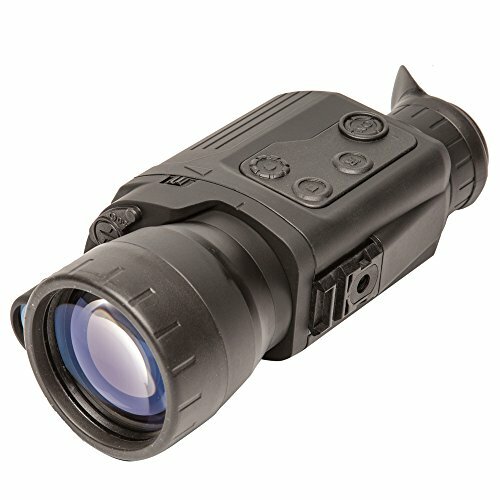 This model represents the top performing thermal monocular in the Pulsar Helion line. With a 2000-yard heat detection range, it is your best shot at performance whether you are in security, surveillance, hunting, or search and rescue. It gives you all the innovative features in this line including 17um sensor and a whopping 640x480 pixel resolution on an AMOLED display. 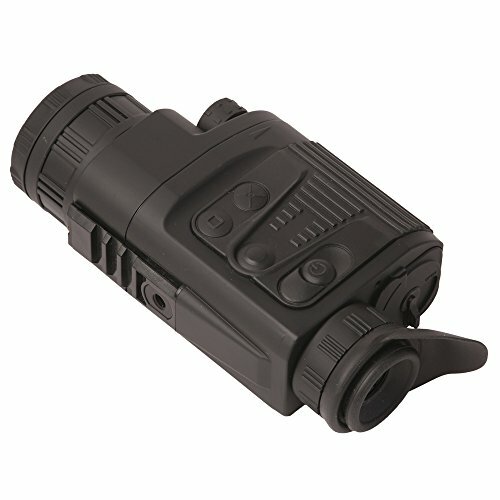 This is a frost-proof display that allows you to take this monocular in extreme conditions. It comes with onboard video recording, picture-in-picture mode, and an eight-color palette. This palette will enable you to change the colors from the favorite white hot to black hot, violet, rainbow, ultramarine, and others. You are supplied with the necessary accessories including the battery pack charging unit, USB cable, 220-USB plug, hand strap, lens cleaning cloth, user manual, the carrying case, and a warranty card. Commonly referred to as to the most sensitive night vision scope in the Pulsar line, the Digiforce X970 is an incredible model. It has a very sensitive cmos sensor which allows you to identify objects better in low-lit environments. With changeable magnification, you get more out of the 4x power using the 2x digital zoom function. It features a OLED display and a 500yards detection range. It has an inbuilt invisible IR illuminator. This illuminator complies with Class 1 Laser Safety as it operates at a covert IR range of 915nm. It is invisible to the human eye. This unit comes with the carrying strap, carrying case, lens cloth, video cable, user manual, and the warranty card. For those looking for a high-value Gen 1 Night Vision Goggles, the Pulsar Edge GS 1x20 NV Goggles are your best bet at high image clarity. This model comes with a wider field of view and a detection range of 90 yards. It boasts high-level consistency thanks to the superior image intensifier tube integrated into its side to ensure the edges/center do not exceed 20% while the center/edge resolution is always more than five times. With the inbuilt wide-angled IR illuminator. It conserves energy on the goggles ensuring that you get more time with it while out in the field. This pair will come with the carrying case, head mount, cleaning cloth, user manual, and the warranty card. Pulsar continues to make significant milestones in optics technology. Their thermal imaging products continue to be top of the line. If you are looking for a thermal monocular, thermal scope, night vision riflescope, or night vision Goggles, Pulsar has got you covered.